You guys! It is possible to make Vegan Sweetened Condensed Milk. I don’t know about you, but I see a lot for recipes that call for sweetened condensed milk. I always thought I had to avoid those, but now I can make some of them. 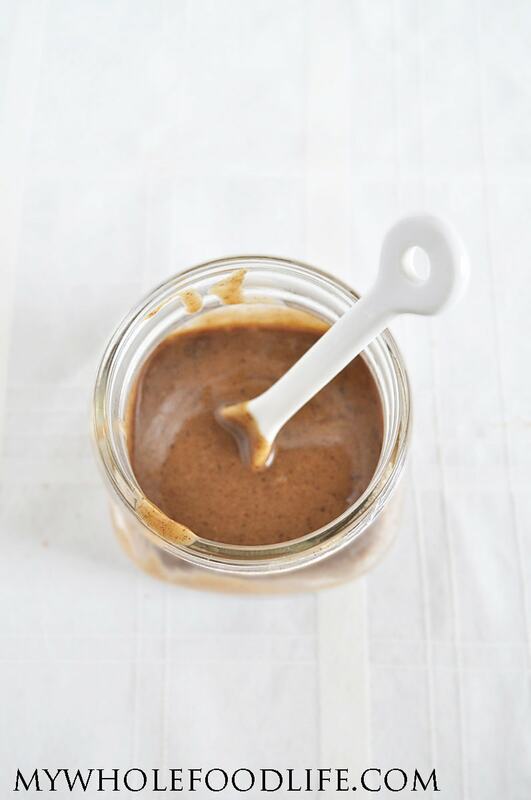 This vegan sweetened condensed milk is actually super easy to make. I checked out this site and got a basic idea. I chose coconut milk to use as my base. I liked that it is rich in texture. However, you can use any other milk you like. I know you are probably wondering why my sweetened condensed milk is dark in color. That has to do with the coconut sugar I added. It turns it into this caramel color. If you had used traditional white sugar, it would probably still be white. This vegan sweetened condensed milk was so yummy! It reminded me of caramel. All you need is 3 simple ingredients! I can see this being an awesome topping for ice cream too. Or you can swirl it into the mixture for my 3 ingredient coffee popsicles. It's super easy to make a vegan sweetened condensed milk! Only 3 ingredients! In a saucepan , on medium heat, add the coconut milk and the coconut sugar. Whisk together often. You will see the mixture start to bubble and thicken. It takes about 40 minutes. As it thickens, keep stirring. You may need to turn down the heat as it begins to thicken so you don't burn it. Keep a watchful eye one it. You want a nice simmer going. It should reduce down to about 1 cup. Once it's there, add in the vanilla beans and stir until those are combined. Once the mixture has cooled, store it in a glass jar. I used mine almost immediately to make some magic bars (recipe coming soon). You can store the sweetened condensed milk in the fridge for up to 2 weeks. This was so easy...and oh my goodness so yummy! I used it to make the Everything Bars ( Magic Bars)...which are in the oven now. Thank you for your tireless efforts and results, Melissa, for creating recipes that let us indulge in healthier ways. Your website is a true treasure! Do you think this would work as a substitute for coffee creamer? We've made the switch to clean eating over the past few years but can not give up our Natural Bliss vanilla creamer! Any suggestions?? We like the vanilla creamy flavor and almond milk just isn't creamy enough. Thanks for the great recipes each week and Happy New Year! I think you could try it, but it would be awfully rich. I would use a small amount. We currently make our coffee creamer with half and half and sweetened condensed milk. I can't wait to try it with vanilla almond milk and this. Thanks so much!!! walnuts will work if you have them. Maybe almonds too. If I used maple syrup, would it be the same amount as the coconut sugar (1/3 cup)? Ooh, awesome! Can't wait to try it. I cooked it on medium low heat. The more it reduces, the lower you need to make the heat. Hi there! Sorry for the late comment (: Do you think that this recipe would work well in a dessert that called for condensed milk, such as a cheesecake? Thank you so much, this looks delicious! Do you think vanilla extract would work as well as the beans?? Can I just point out that honey isn't vegan?